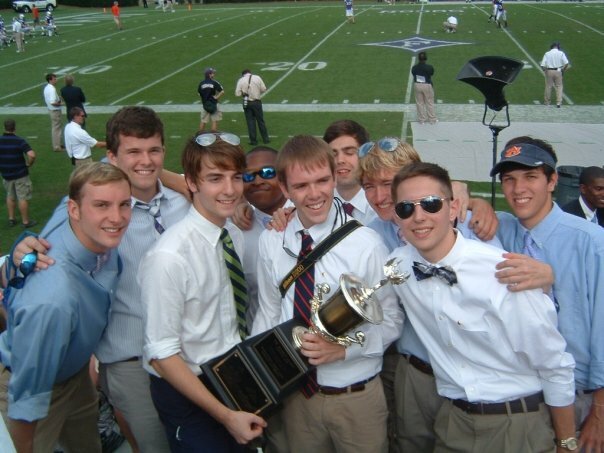 This past week Delta Chapter held our annual War of the Roses competition for Push America between the Furman sororities. 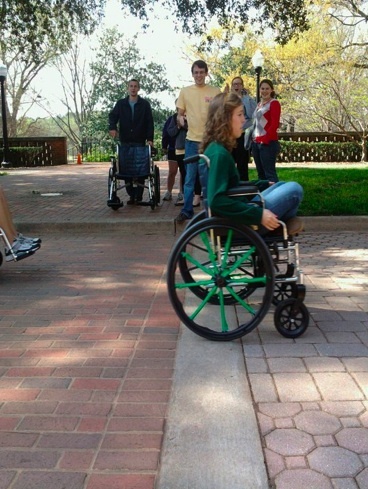 The week included Pie-A-PiKapp, a wheelchair race, and wheelchair basketball. The competition culminated with a brotherhood auction on Thursday and the announcement of the week’s winner with the sisters of Chi Omega being crowned champions. Overall it was a great week for raising awareness and donations for Push America and people with disabilities. 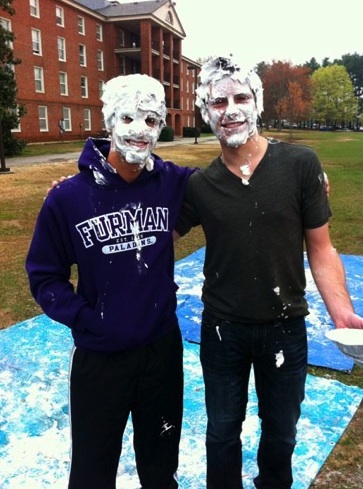 Brothers Kozloski and Mueller after getting pied at Pie-A-PiKapp. Kappa Delta winning the wheelchair race. We have initiated our newest class of brothers into Pi Kappa Phi Delta Chapter! After a long and successful process we welcome Tau Class into our chapter. Along with the twelve brothers of Tau Class we alumni initiated Furman Professor and Chaplain Dr. Crowetipton. The Members of Tau Class. 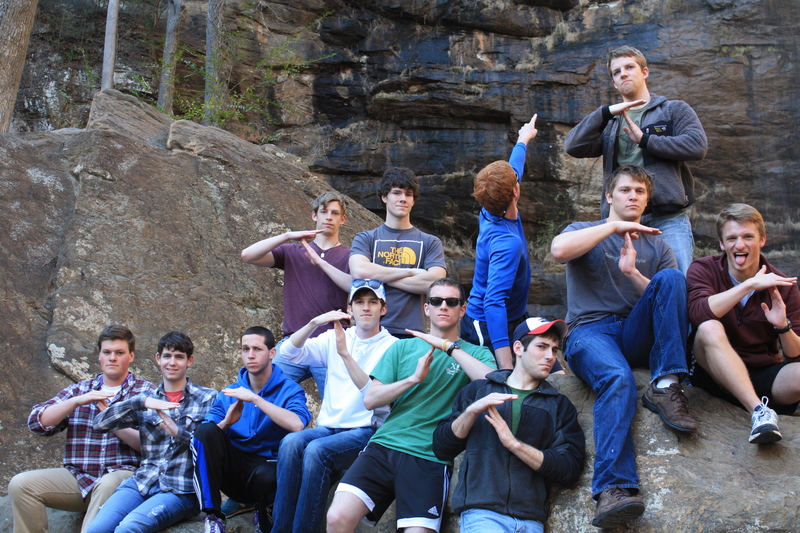 The EC and some of the senior brothers went on the annual Associate Member Retreat with Tau Class. The group went to Toccoa, Georgia, staying at one of our brother’s lake house. The brothers and associates took in some of the local barbeque and toured the falls. 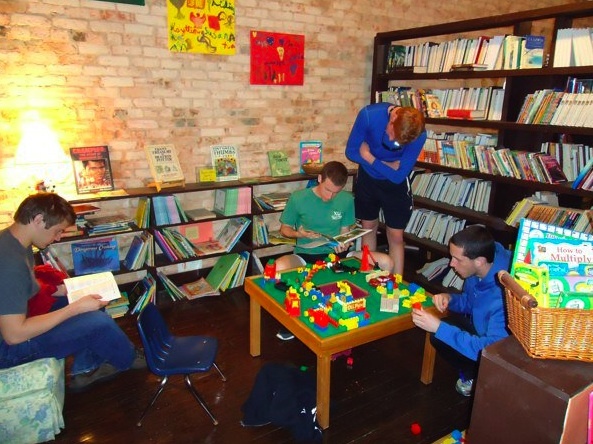 Some of our associates doing some light reading in a bookstore on the Toccoa Main Street. 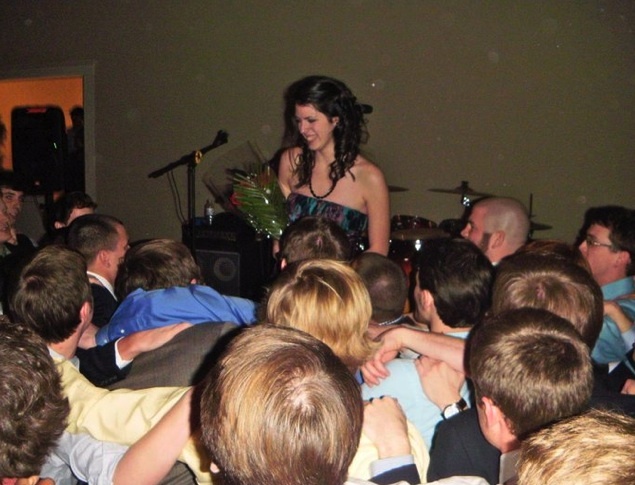 At Semi-Formal we announced the last of our seasonal roses with Ms. Allison Rappuhn being named Spring Rose. Our year long rose for next year will be announced later at Formal. The Brothers gathered to sing the "Rose of Pi Kappa Phi." 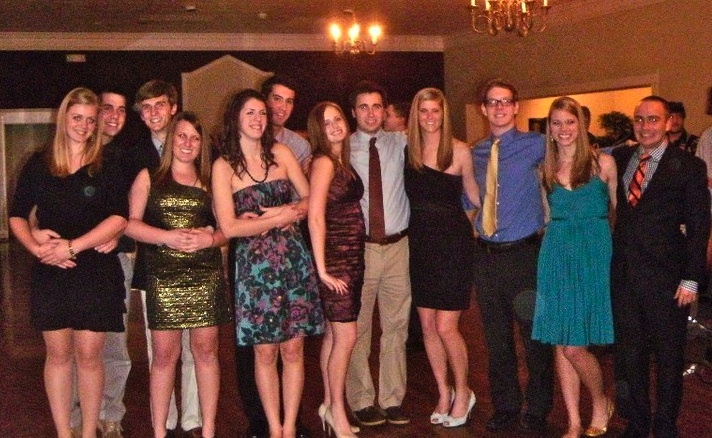 Brothers and their dates enjoyed an evening at the Augusta Manor, marking the first function of the year. The dance was also accompanied by a live band. Brothers and dates posing for a picture at the beginning of the function. 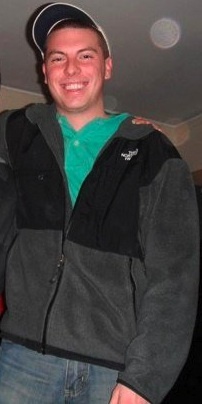 January’s Brother of the Month was Ben Saul for his work as Recruitment Chair. Ben showed great determination in recruiting our Fall and Spring Classes, helping further grow the chapter. Posted on October 12, 2010 | Comments Off on Alumni Events During Homecoming! This year Delta Chapter is paired with the ladies of Kappa Kappa Gamma for SAC’s Homecoming Week competition. The week’s theme is super-heros, and our theme is Power Rangers. In addition to events taking place all week for the undergraduate brothers, Delta Chapter would like to invite alumni to participate in a few events during Homecoming Weekend. Friday, October 22nd: We are planning a large alumni tailgate night alongside the float building on the Furman mall. Will have our tent sent up, and will have plenty of food and drinks for Alumni and their families. We will also have a Scaffold Sit going on to raise money and awareness for P.U.S.H America. Saturday, October 23rd: We will be having our Homecoming Tailgate which will be an Oyster Roast before the football game. Again, we encourage alumni to bring their families. Sunday, October 24th: We would like to invite alumni to come to Chapter at 7pm in the Thomas Room of the University Center. Additionally, we would like to encourage alumni to become fans of Delta Chapter on Facebook. Our page is “Pi Kappa Phi-Delta Chapter” We update it frequently and there is a place for alumni to update us on what they have been up too. Comments Off on Alumni Events During Homecoming!